It will come as little surprise to us Kernow people, but Cornwall has once again been shortlisted in the British Travel Awards as the county looks to be crowned Best UK Holiday Destination for 2016. What makes it even more special, should Cornwall win, is that it will be the eighth consecutive year of taking the top spot! Cornwall will be up against firm competition from neighbouring county, Devon, along with other favourites including Pembrokeshire, Yorkshire and Northumberland, and with such stiff competition Malcolm Bell, chief executive of Cornwall’s tourism board Visit Cornwall, has asked for the support of everyone to go online and vote (for Cornwall!). Cornwall is known well for its beautiful natural attractions and man-made attractions too, including the Eden Project and the Lost Gardens of Heligan, who are both in the running for Best UK Leisure Attraction category. The award that will be most keenly viewed by the team here at OA will of course be the award for Best UK Coastal Resort, of which Bude is in the running. 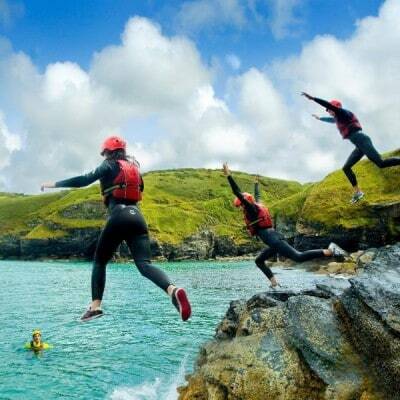 A break in Cornwall is always going to offer a plethora of fun times, especially if you’re on activity holidays right here in beautiful Bude! What will you discover on your next visit to Cornwall?